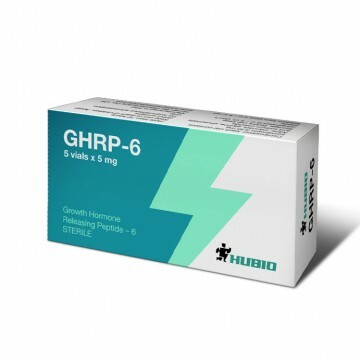 GHRP-6 peptide is important, which stimulates the production of growth hormone. 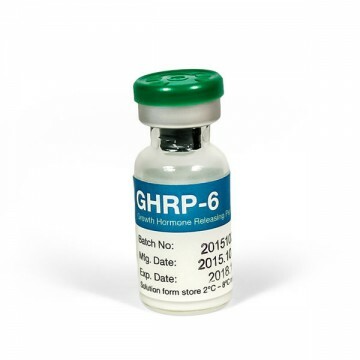 Currently, GHRP-6 is still testing, but it has already become quite popular among athletes due to its positive properties on the body. The growth of muscles, increase of endurance and many other properties of GHRP-6 peptide have made it indispensable in many kinds of sports. 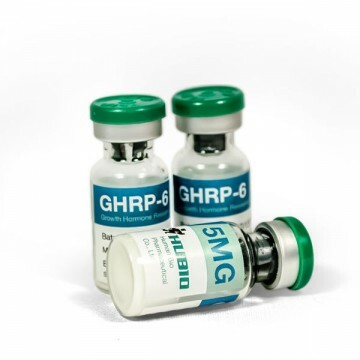 By its action GHRP-6 is similar to GHRP-2, with the difference that the GHRP-6 is on the third more powerful. Another positive distinct from GHRP-2 - is a smaller risk of increasing the concentration of hormones such as prolactin and cortisone. The first hormone promotes the growth of mammary glands, and cortisol destroys protein compound, thereby contributing to accumulation of fat and destruction of muscle mass. reduction in blood glucose levels. It is noteworthy that GHRP-6 does not affect the strength gains therefore the use of the peptide in weightlifting is not always justified. Duration of GHRP-6 course is 1-2 months, and then it's recommended to make a break for two weeks. The dosage is 2.1 micrograms per kilogram of body weight. The daily dosage ranges from 100 to 200 mg, which should be split into three injections. The first injection should be done in the morning before receiving food on an empty stomach, the second - before training, make the third injection at bedtime, but minimum 1-2 hours after a meal. Combination courses improves the efficiency of the use of 10-40%. 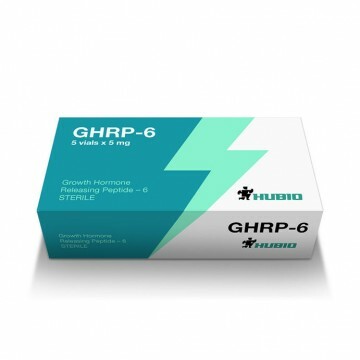 GHRP-6 does not cause side effects, if you stick to permissible doses.